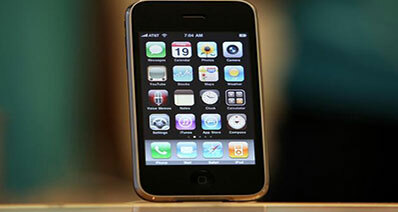 What does reset all settings do on iPhone? Resetting all settings offers a way of solving minor issues with the iPhone device. As the term suggests, reset all settings will only reset your iPhone settings to their initial state. When you reset all settings on your iPhone, only the settings are changed but your documents, files and apps remain intact; they are not lost. 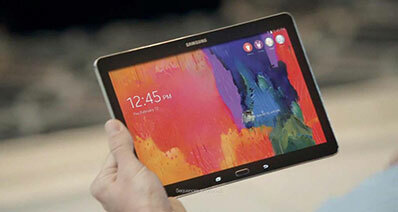 This means that even your network and Wi-Fi settings are erased and you will have to set them again. 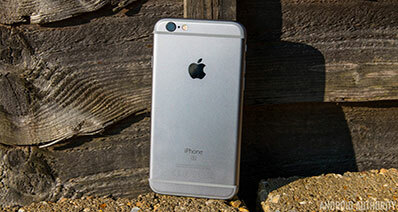 It restoring all the settings you have made on your iPhone as it were when you purchased it. If you find it necessary to reset your iPhone and you don’t know how to do it, you can simply follow these baby steps. 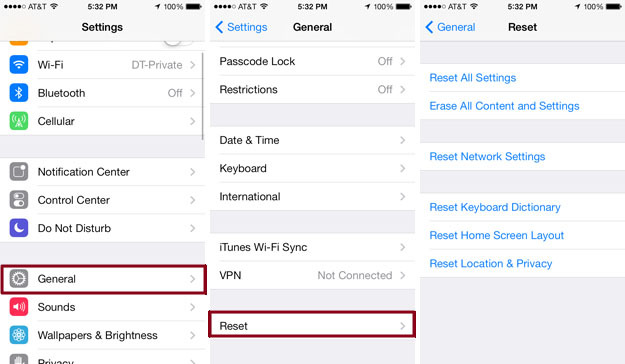 Here are the steps that you need to follow while resetting all settings in your iPhone. Step 1: Locate the Settings icon on your iPhone and tap on it. Step 2: When the icon opens, tap on "General" to go to the general settings. Step 3: From the "General" option, then tap on "Reset". Step 4: After clicking the "reset" button, you will be prompted to select the settings that you wish to reset. A list of options will be displayed, therefore click "Reset All Settings" you will be prompted to confirm your action tap "Reset All Settings" again to continue to continue. The process will erase all your settings including your Wi-Fi and network settings but no other data will be tampered with. The process should not take more than 10 minutes. The following are some tips that we should know before putting our iPhones on "Reset All Settings". Unless you are giving away your iPhone or unless you want to sell it, you do not need to erase all content. If you just want to repair a minor issue, resetting all settings will be enough. Resetting all settings does not erase your apps and documents on your iPhone but it erases your favorite settings. You can write down your settings to use them later after resetting them. Your Wi-Fi settings and manually configured networks will be erased when you reset your settings and therefore it is advisable to write them down to avoid reaching the network administers to reconfigure your settings. After completing the reset, it is important to reconfigure your privacy settings first instead of waiting for days or hours to reconfigure them. Even though resetting all settings does not erase your data, it is good to create a backup for your data so that in case you press the wrong button, you are not in the risk of losing important data. It only takes a short time to reset all settings in your iPhone. If it takes more than 10 minutes, then there might be a problem with your device. You never know when a disaster may strike on your phone thus it is important to safeguard your files with iOS (iOS 11 included) data recovery software that retrieves lost data. iSkysoft Toolbox - iOS Data Recovery is a data recovery software for both Mac and Windows operating systems. It comes with a simple interface that is easier to use even for the new users. 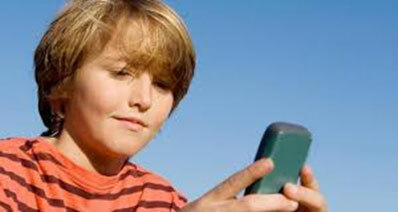 iSkysoft iPhone Data Recovery offers different types of recovery. It can recover directly from iOS device, it can recover from iTunes and iCloud backup file. It has a simple interface that recovers you data painlessly. You can retrieve your data through simple steps. Select the recovery mode- scan your device-recover lost files. This software is designed to recover files that you may have lost due to accidental deletion, system crash, system inaccessibility, broken gadget, and a damaged device among others. 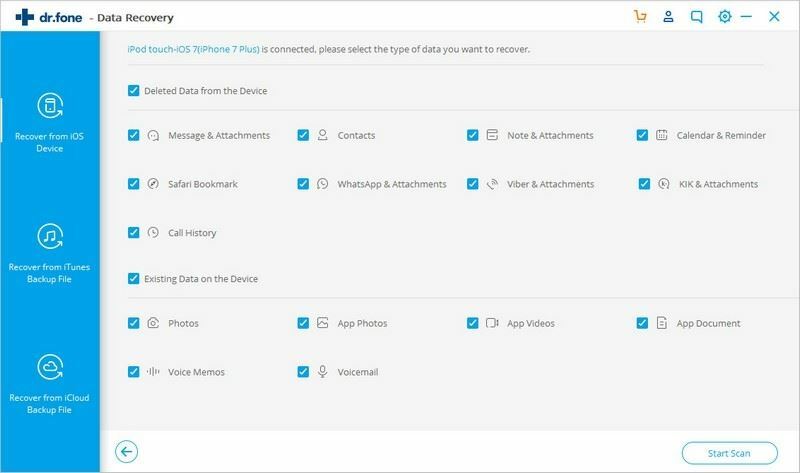 It recovers many data types like Calendar, call history, Camera Roll, Contacts, Reminder, Voice Memo, Voicemail, App Video, App Photos, App Documents videos, Photo stream, Safari Bookmark, Facebook Messenger, Notes, Messages, etc. This software is compatible with Mac OS X 10.13, 10.12, 10.11, 10.10, 10.9, 10.8 and 10.7; Windows XP, Vista, 7, 8 and 10.